Here, you will find details of our current range of our superb hand-crafted loudspeakers, designed and made to exacting standards. 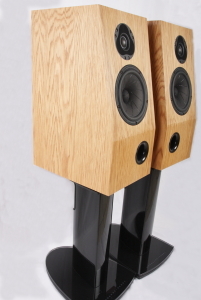 These loudspeakers offer the sort of quality and performance normally associated with “high end” loudspeakers for a small fraction of the associated cost. These have been designed to very high standards, both in terms of their performance and the standards to which they are made. 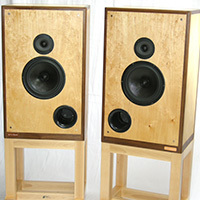 Uniquely, RFC is one of the only manufacturers to offer a free upgrade for life on the crossovers associated with these loudspeakers so that you, the paying customer, do not end up funding R&D. In other words, if we discover improvements to our crossover design for these models, you simply send us your existing crossovers and we undertake to upgrade them free of charge. No other manufacturer that we are aware of offers such a service. In addition to the loudspeakers on these pages, please remember that we are also able to complete the detailed design and construction of bespoke loudspeakers to your requirements and can also provide superb cabinets for vintage Tannoy loudspeakers. We specialise in cabinets for HPD 315 Tannoy drivers in particular. We can also construct cabinets to your speaker design for you.